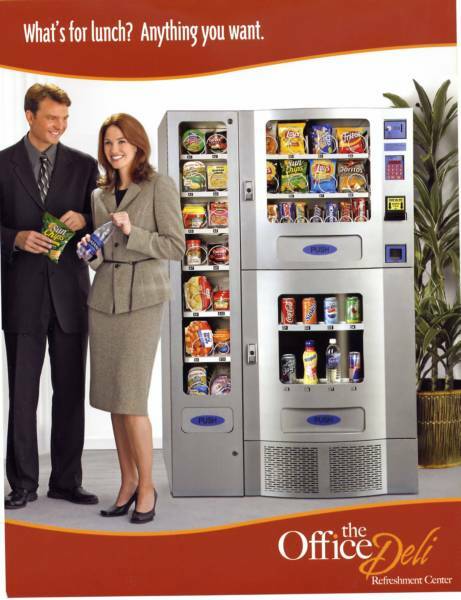 We are a Full Service Vending Company with vending options for any vending needs. We strive to set ourselves apart with our consistent service, low prices and your employees choose the products they want. Our placement and service are completely FREE. Our contract is very simple because we are locally owned and operated. We "Cater to Your Needs" because it is good for you and good for our business. Our HEALTHY CHOICE OPTIONS meets the government standards for business. We offer all National Brands at rock bottom prices. Please explore our Website.